It is important to realize that an injury or death on the water is covered by insurance. The majority of boats, vessels, tankers, barges, cruise ships and commercial fishing vessels have insurance to cover any type of loss. This insurance is similar to the liability insurance you have on your car for personal injury.Although the purpose of an insurance policy is to make things whole after a catastrophe, the insurance company´s ultimate goal is to pay out as little as possible on insurance claims. For those injured in a maritime setting, this means that having an experienced attorney is absolutely necessary to obtain the full amount of compensation to which they are entitled. Insurance companies will do what it takes to pay you as little as possible. When there is an injury or death, the insurance company will be notified immediately and will start working on the loss as soon as they receive the claim. The insurance company will hire attorneys, investigators and claims adjusters to begin working immediately to limit their fault and decrease damages payable to you. Many times, the insurance company’s attorneys, investigators and claims adjusters will be contacting both the injured party and their family members as soon as an accident occurs. They will often want to take a tape recorded statement from the injured party of what happened. It is important to know that these attorneys, investigators and claims adjusters protect the interests of the vessel owner and employer and not you. Just as the vessel owner has people working on their side from the onset, an injured party or family member of the injured party or deceased needs someone on their side, too. The maritime law firm of Latti & Anderson LLP has experienced attorneys and an investigator who will represent your interests against the insurance companies. 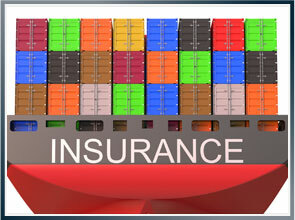 Marine insurance companies throughout the world cover these types of losses. Latti & Anderson LLP has successfully litigated claims against these insurance companies for over 50 years. Contact our maritime attorneys today to learn about your options by calling 800-392-6072 to schedule a free initial consultation.